After finishing up the last episode of Breaking Bad Brenda and I applied ourselves to finding another moderate to long-running TV series to binge-watch, two episodes a night. We were looking for another character-based crime drama, though nothing so emotionally stressful as BB. Martin suggested The Wire and we gave it a try. If it had been just me, I would have nixed the show after the first episode. One of the aspects of The Wire that most impresses me is its portrayal of both good and bad, wisdom and near-sightedness, compassion and cruelty, loyalty and treachery on both sides of the criminal code. But mostly, it’s about thriving in economically depressed Baltimore in the first years of the 21st century, facing drugs, disease, murder and gangster politics. And, in season 4, a new evil threat emerges from Eric Overmyer’s scripts, reaffirming the futility of trying to rise out of the streets of east and west Baltimore. You guessed it. It’s the effects of high-stakes testing on the lives of children and their teachers. I find it interesting that a major network, even if it’s a limited-view premium network like HBO, has placed, along side violence, disease, and dysfunctional government, the debilitating effects of an education system, based increasingly on bubble-sheet compliance. My daughter texted me yesterday morning, wanting to meet at the coffee shop to talk about an article she’d just discovered. She texted me the URL, http://goo.gl/pFc39Z. It’s not a recent article and is actually one of Valerie Strauss‘ (The Answer Sheet) reprints of a blog article [link/pdf], written by Marion Brady (veteran teacher, administrator, curriculum designer and author). It might be argued that I’ve been out of school too long, that if I’d actually been in the 10th grade prior to taking the test, the material would have been fresh. But doesn’t that miss the point? A test that can determine a student’s future life chances should surely relate in some practical way to the requirements of (that) life. I can’t see how that could possibly be true of the test I took. My daughter, who is certified to teach elementary grades and high school history, but has given up finding a teaching job (2008 recession followed by recent school staff cuts imposed by our state General Assembly [see]), expressed outrage. She is currently struggling to score well enough on the GRE to get into the graduate school of her choice. 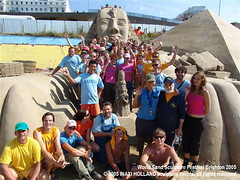 ..shaped not by knowledge or understanding of educating, but by ideology, politics, hubris, greed, ignorance, the conventional wisdom, and various combinations thereof. And then they’re sold to the public by the rich and powerful. 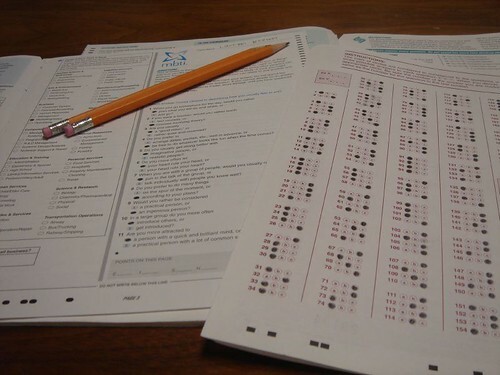 How many of us, productive and successful adults, would willingly and confidently take our state’s high-stakes standardized test, especially if our freedom to move forward was based on passing those tests? What would our legislative bodies look like, if a requirement for serving elected office was to pass the same tests that they impose on their 15 year old children? Actor, Joseph Gordon-Levitt also posted a link to the article here. 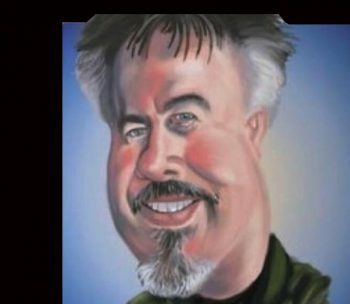 Author David WarlickPosted on September 14, 2013 September 14, 2013 Categories education, leading, politics, shakabuku, teaching, testingTags assessment, education, FCAT, testing6 Comments on Sir? 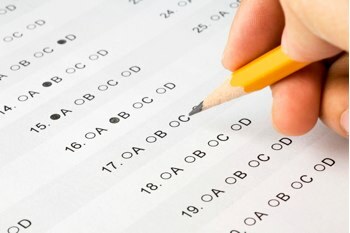 Would You Mind Taking this Test? But that’s not what triggered the ding in my head. ..test scores don’t tell the whole story. It is a long-term journey and we have to get away from short-term yardsticks. Several of us edubloggers have written our personal and sometimes moving blog entries, where we confessed to not having been exemplary students when we were young. I do not remember if I’ve written mine, which is almost certainly part of my problem. I’ll just say here that I was not a successful student. I did not become a successful student until graduate school, where I knocked the roof off with my grades — and didn’t learn nearly as much as in undergraduate school, I might add. Remember when David was in my room, and I told you not to worry about him, that he’s a bright kid, and one day he’s going to find something that’s going to capture his interest, and he’s going to take off? Of course it shouldn’t be a waiting game. We shouldn’t be waiting for children to find “their passion.” We should be helping them. If we could simply shallow the standards, and provide more time and resources to enabling and empowering students to find, or even invent their passions, we may see the development of deeper and more habitual academic skills — and earlier. Empowering learning just seems to make a lot more sense to me than just defining and measuring it. The reason that I can not get eight hours of sleep is that I am haunted. I become possessed by conversations I’ve had in my waking hours. I am drawn from my sleep by cold boney fingers reaching out from the graves of past presentations — by the insightful, but initially unrealized, comments made by participants and those questions that I wish I’d answered better. What kind of questions will we ask on our tests, when our students walk into the classroom with Google in their pockets? And then he (I) asked the audience to consider calculators — how, for years, we resisted the new devices because it wasn’t math. It didn’t look like the math instruction we traditionally provided, and so we almost demonized the things. But now that calculators have become a critical part of many mathematics classes, have they changed the questions we ask? Have they changed the problems we ask our students to solve? 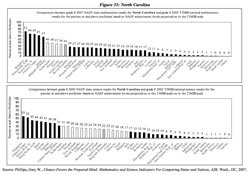 Has it changed the nature of math instruction? The answer, of course, is, “Yes!” Calculators empower learners to work numbers to an end. They force students to transend paper and pencil, to truly utilize the language of numbers to solve problems, answer questions, accomplish goals — to learn new things. I maintain that we should expect learning in the classroom to be the same as learning in the “real world” — that it is about ubiquitous access to the global flow of information and the tools that empower us to work that information. It’s where the Obama Administration has it completely wrong. According to Secretary Arne Duncan’s July 24 Washington Post op-ed, “The president starts from the understanding that maintaining the status quo in our schools is unacceptable.” (( Duncan. Arne. “Education Reform’s Moon Shot,” The Washington Post 24 Jul 2009. Web.18 Aug 2009. <http://www.washingtonpost.com/wp-dyn/content/article/2009/07/23/AR2009072302634.html>. )) Yet, it appears to me that the status quo is exactly where we are staying. Like the former failed administration, the answer seems to be do the same thing, just do it more, do it harder, do it longer, and our children will gain the skills they will need to “compete in the global economy.” This is wrong on so many levels that I just want to throw up my hands give up. So back to my haunt. What interests me about the connection made by the math teacher between the calculator and the Google’d cell phone is that they are both about empower learning. 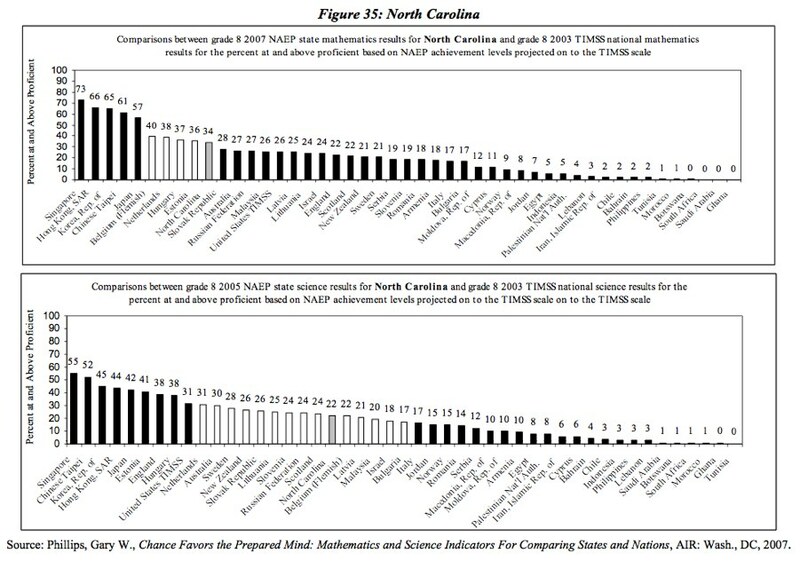 Of the four (entirely unoriginal) education reform areas (see left) being targeted by the administrations dangled carrot ($4.3 billion), the one that irks me the most is number three — data. Now I love data. I love what you can do with data. Data visualization is one of my favorite themes to follow on Twitter. But what’s wrong with “Building data systems that measure student success and inform teachers and principals..” and wrong with so much of the prevailing conversations about education reform, is that it’s about empowering teaching and schooling. It’s designed to help us do our jobs better as educators — when we need to be figuring out how to empower our students to do their jobs better as learners. Obama, through Duncan, wants us to use data to measure student learning — and by result, to further limit what we teach to that which can be measured. What we should be doing is helping our students to use data, so that they can measure their world and better understand their relationship with that world — what can’t be measured. This one caught my eye because I’ve done a good deal of work in Alberta lately — but also because of part of the title, Who can Unlearnall the Facts That I’ve Learned?. It’s an article from VUE Weekly, an independent newspaper from Edmonton. From my experience, standardized testing does seem to be a central part of education in the Province. But I’ve also talked with educators there, who have a keen interest in what’s going on with education in Finland. The article mostly refers to statements by Dr. Pasi Sahlberg, an education specialist at the European Training Foundation (ETF). There’s nothing really new here for those who have questioned my country’s growing and continued reliance on standardized testing as an avenue to education reform. But I found interesting, his explanation of the growth of the movement and the response by Finland. Sahlberg says that the reliance of standardized testing to judge the success of student performance started in England in the 1980s and quickly spread to North America, Australia and other developed nations. Sahlberg’s home country of Finland, on the other hand, was not swept up in trying out the new approach. “Scandinavian countries were not convinced that through competition education would be improved. Instead an idea of equality is pervasive—that every child needs to be provided with equal opportunity through good education,” he explains. This perspective means schools in his country look different than those in countries that embraced standardized testing. ..when high-stakes testing is applied to kids and can mean that they will not graduate and that teachers can get fired, this is a different situation all together. There are problems with relying heavily on test data. When you value an indicator too much you can predict that there will be corruption in the numbers because the people who administer the evaluation will corrupt the figures. This scenario has been found to occur in high-stakes testing in US public schools. There are documented cases of teachers keeping some students at home on test days, along with other measures, to get the best results possible. I would suggest that over-emphasizing tested subjects or tested standards within a subject, at the expense of softer and less measurable elements of learning is another way that the data and our education system are being corrupted. 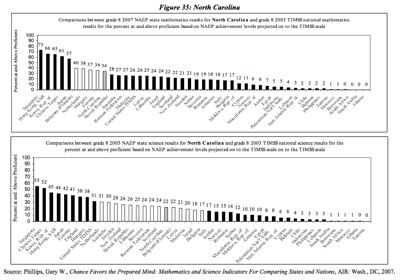 Here is the graph that shows my own state, North Carolina, with other nations, putting us fairly near the top in Math, bested by Singapore, Hong Kong, south Korea, Taipei, Japan, Belgium, Netherlands, Hungary, and Estonia. We fair less well in Science, closer to the middle of the list. So, I’m left with two questions. Is this why we do what we do? Or is this why we do what we do? I looked at the site and was somewhat impressed with its layout and features, but frankly never went back — so I had very little recollection of it when Ms. Shaw called again a few days ago, asking if I would like to participate in a teleconference with the CEO on January 15. Again, I couldn’t bring myself to honestly express my cooling interest, so I asked her to send me the details in an e-mail, and to copy it to Brenda. So, it was because Brenda got a copy of the e-mail that I was reminded, took another look, and, again, was somewhat impressed. I wrote back to Lena, telling her that I was interested in being a part of the teleconference, but reminded her that my topic of writing usually revolved around technology, as it applies to education and literacy. If she had other tech bloggers and media folks more relevant to their goals, to please feel free to bump me from their list. I’m holding her response to the end of this post. I dialed in and listened to the companies Director of Marketing and then the CEO, Behnam Behrouzi, who seems to carry a great deal of experience in the world of technology startups. About Leapfish? The most interesting task that this search tool seeks to accomplish is that of easing our access to what has become an increasingly fragmented information landscape. You have at your disposal, Google, Yahoo, MSN, Flickr, YouTube, CNN, Stock Market, AP, and on and on. Great information, but too many channels. 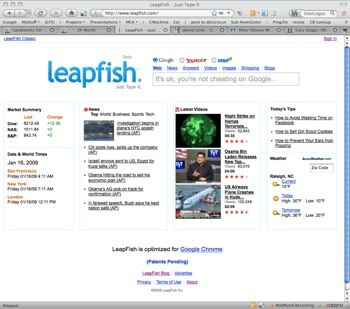 Leapfish gives you access to much of it from one basic interface. 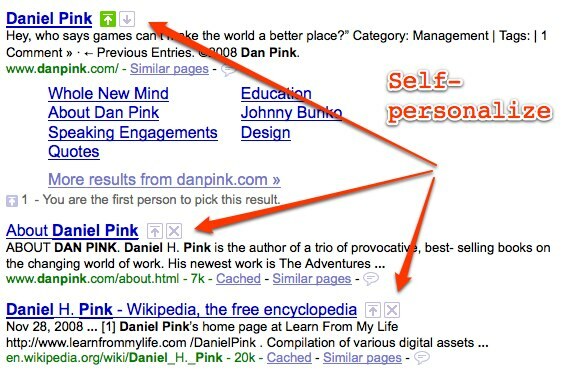 I typed Daniel Pink (See Part II) and got a relevancy based listing of 740,000 web references, as delivered by Google. Clicking the Yahoo link at the top of Leapfish delivered 23,655 hits, and MSN offered a mere 115,000,000 (correct number of zeros). Another interesting feature is the ability to hoover your mouse over an image or video and have a higher resolution version of the image pop up and the video start to play. In playing around with it this morning, the Pink videos do not play, but the video and image thumbnails do enlarge to about double the size. However, the popups do not seem to be large enough to add any real value to the information. The point of the teleconference was to debut a brand new feature that “..pushes Search to 2.0.” It’s click free search, which is interesting to watch. Basically, as I type each letter, Leapfish starts searching. The table below indicates the ongoing results of typing in Daniel Pink. Is this 2.0? Well, you can call it what ever you like, and there are certainly a lot of qualities than can be attached to 2.0. To me, the characteristics to pop to mind most readily are conversation and self-personalization. Leapfish could be said to provide a conversation between me and an enormous base of content. and having results come back as I continue to type is pretty cool — though I’m not sure how much that adds to the experience or to the task at hand. The CEO also shared plans to include personalized widgets and the ability to create and share dashboards — but there really isn’t anything new in that, is there? 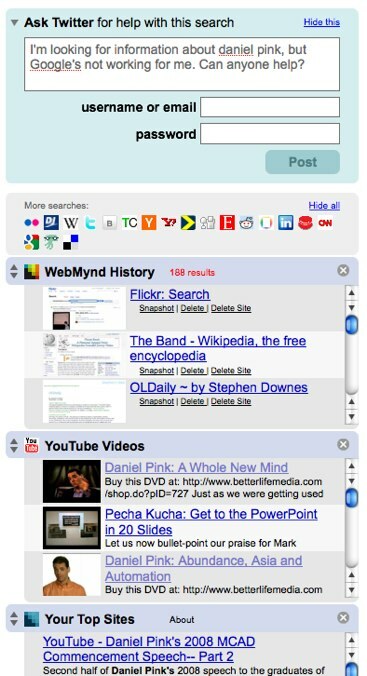 More to the point of personalizing my search experience, is Google’s recent feature addition, SearchWiki. It gives Google members the ability to delete hits from a search and to rearrange them, so that the next time you search for that term, you will get a more desired arrangment of results. This is a bit more 2.0, though I must confess that I’ve never actually used this feature. Of particular interest to me is that WebMynd also remembers the web sites that I have visited, and returns a seperate Google search from only those sites. So, as I entered a quote that I wanted to site yesterday, the original page showed up on my list of visited sites immediately, saving me from scanning through pages of straight Google hits. 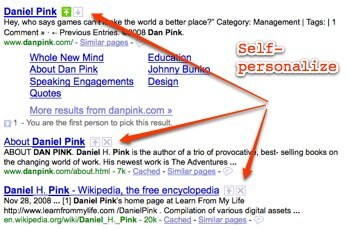 This is search personalization. I love this feature. It was a great line and it explicitly expressed a value of education. The fact of the matter is, innovation is happening inspite of education, and I am becoming afraid that we are going to continue to damage our children and our future with industrial models of assembly-line, quality-control leadership. Read this from FairTest.